Based on customer feedback, Trotec's R&D department has developed numerous improvements t the Speedy 500. 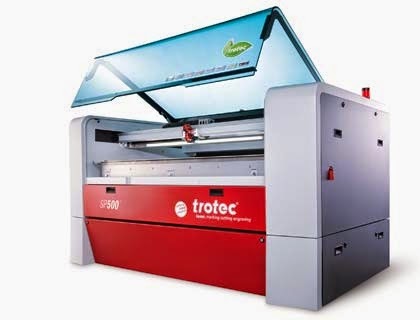 Trotec is proud to present the new and improved SP500, the most advanced, productive, and user-friendly laser cutter on the market. Trotec's SP500 is the ultimate laser cutting and engraving system for the production of large unit volume and large surface area materials. Sufficient space for all common sand standard material sizes used in the plastics, textile, wood, paper, printing, and electronics industries. Pass-through function available - enables processing of work pieces larger than the work area. 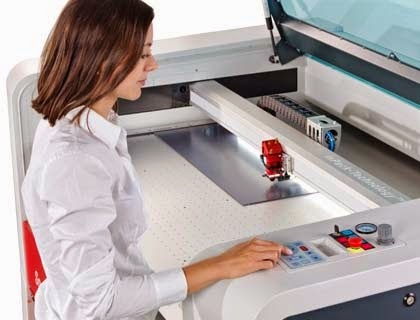 Discover all the possibilities of the SP500 and other large format laser cutting and laser engraving systems... We'll help you find the perfect solution to help your business grow.